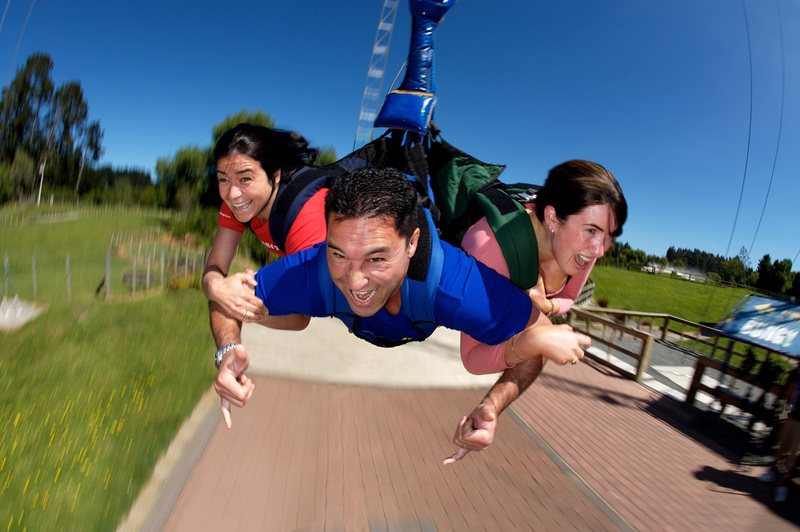 The Swoop a 40m high arc swing, which plummets at 130kmph towards the earth, it’s sure to make anybody scream! 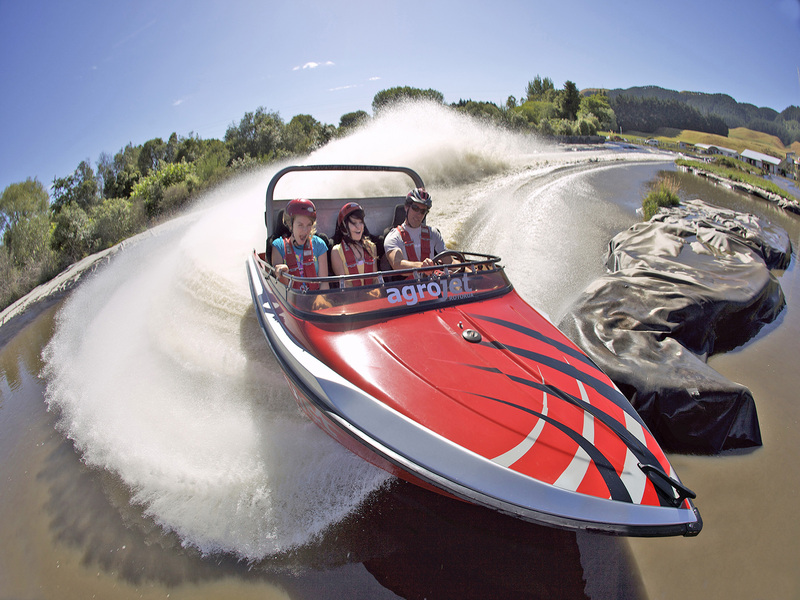 Then you’ll also find New Zealand’s fastest jet boating experience, the Agrojet, accelerate to 100kmph in 4.5 seconds weaving in and out of the 1km sprint course. Is your class a competitive bunch? 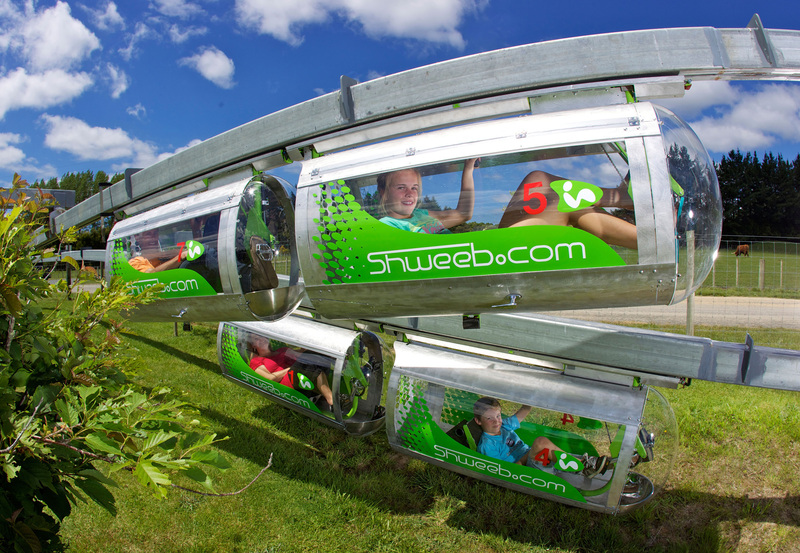 Then try your hand at racing on the Shweeb, the world’s only human powered monorail racetrack – take on the 600m race and pedal your way into a category/country record to win prizes. 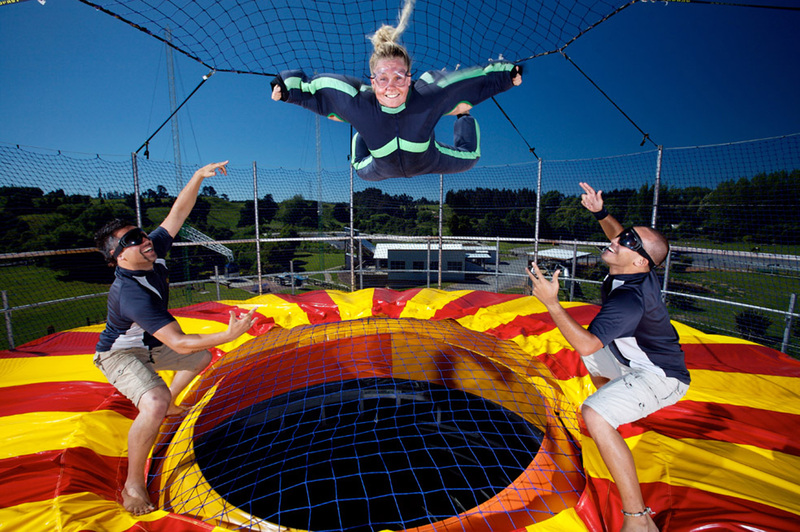 Freefall Xtreme body flying will be sure to have spectators laughing at the flyer as they are suspended above the wind column riding the air like superman/woman. 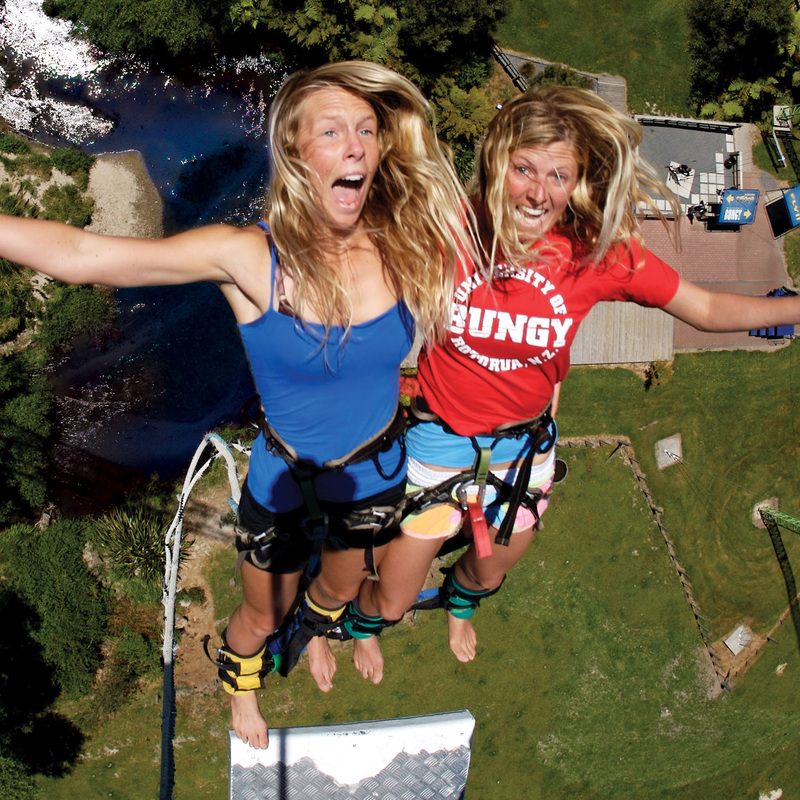 To finish it all off is Rotorua Bungy, 43m high above the Ngongotaha Stream with amazing views out to Lake Rotorua. 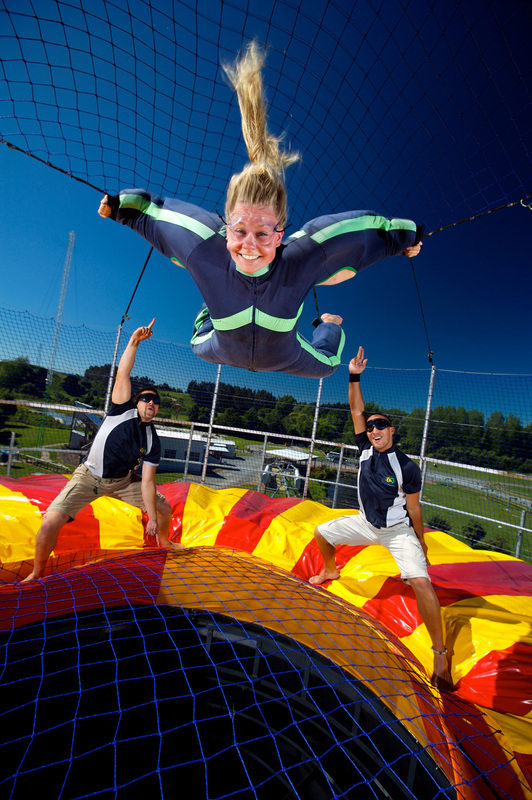 Activities are suitable for all ages and abilities. BBQ facilities & catering is available on request. We can arrange talks by staff on eco-friendly/sustainability, Geography, local culture, history of Agroventures and tourism/careers. Curriculum based student talks and worksheets available on request.